I’m going to predict that between 1:00 and 5:00, the air conditioning will not be running. OK, OK… there was a call last night from PP&L saying that they would be cycling the AC off due to expected load concerns. See, in an effort to save $8.00 a month, we let them install a switch on the AC that would allow them to cycle the AC. Maybe we should go shopping or go to work early in an effort to stay cool. The primary focus of today’s post is the recovery from yesterday’s visit to the gym. I ached in quite a few places, and while my ankles are a little tender (you try carrying 368 pounds), the only other part I’m having issues with is my quadriceps. And only when I try to sit down. I blame the squats. I felt so good yesterday that I even took a 15 minute walk last night during my second break. I was really pleased to see that the efforts of Supportive Partner Woman (user of the elliptical!) and I have inspired one of our friends to start a major weight loss effort. She’s even started writing about her process on her blog, which you can check out here. We are so proud of you, April… keep up the good work! I never really compiled a list of what my process is for losing the weight. So, I’ll take a stab at it. 1) Exercise. Even just a regular walking program. We’re not talking Olympic speed walking, but a nice 3 mph pace… something to get the heart pumping and blood flowing. 2) Physical Activity. Take extra steps. Make two trips instead of one with the laundry. DO SOMETHING! 3) Nutrition. Be mindful of what you put in your mouth. As a diabetic, this can be quite challenging for me. Keep the carbs to a minimum and lots of fiber. Fiber kind of counteracts carbs, so if you eat a Mission Carb Balance wheat burrito wrap, it may say there’s 32g of carbs. There’s also 26g of fiber, making a total of 6 net carbs. It’s tough for somebody like me who could (and often did) eat a dozen potato dinner rolls at one sitting. Does this mean you can’t have any carbs? No! 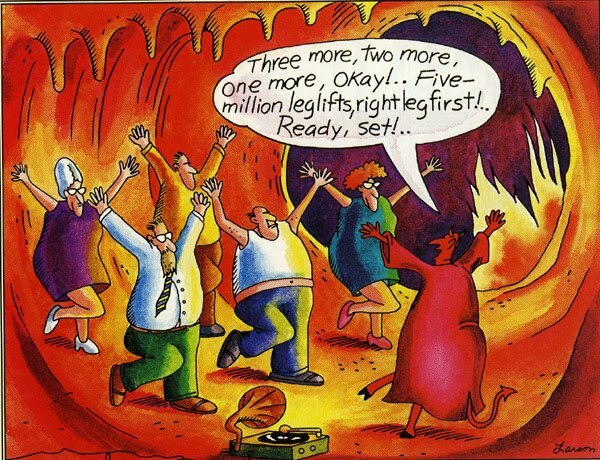 Just exercise some restraint. Also, when you’re jonesing for a snack, consider an alternative. Instead of reaching for the chips, grab a half cup of pistachios and get the protein instead of empty carbs. 4) Fluids. Fluids are important. Water is your friend. I was guilty of swilling Diet Pepsi the same way that a wino swills Boone’s Farm. It was nothing for me to drain six 20 oz. bottles of DP in a day. I’ve gotten that down to two. I’ve reduced my consumption by two-thirds and I’m still managing. That means I’ve also reduced my daily caffeine intake by a corresponding amount. Instead, I located a 64 oz. water bottle in an insulated case and I’ve been trying to drink that much every day. 5) Support and Goals. This has been the biggest struggle. I’ve found that having SPW on board has helped a lot, as has the support I’ve received from you, the readers. Many of our friends in the Disney community have expressed support, even volunteering to do a 5K alongside us when we reach such a point. That might be many months into the future, but it’s one of my goals. My immediate goal would be to keep losing and keep learning how to keep it off. 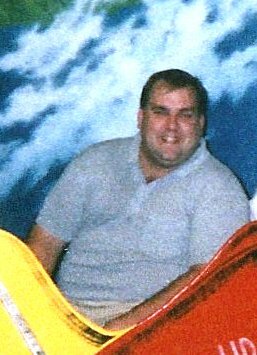 The author in 1998, right around 400 pounds. So, there you have it. It’s not scientific… it’s mostly common sense. This is stuff that I always knew and just chose to ignore. You can only ignore the 800-pound gorilla in the room for so long (or the 400-pound fat guy in my case). My advice is to face the gorilla early and avoid the struggle later. Your body and your self-esteem will thank you.